Hamilton, Richard. The Solomon R. Guggenheim (Black and White), 1965 – 1966. Fiberglass and cellulose, 122 x 122 x 19 cm. New York, Solomon R. Guggenheim Museum. The Guggenheim Museum contains an extensive holding of over 7,000 artworks from the late 19th century to present day. Their collection online presents “a searchable database of selected artworks from the Guggenheim’s permanent collection of over 7,000 artworks“, which includes works from the Peggy Guggenheim Collection, Venice, and the Guggenheim Museum Bilbao. The database can also be browsed by artists, dates, mediums, movements and venues. The Guggenheim does not object to the reproduction, distribution, display, transmission, performance, and use of the Content and/or Compilation if done in accordance with the conditions of Fair Use under the US Copyright Law. However, (1) no modifications may be made as to the integrity or attribution of the Content and Compilation; and (2) all copies of the Content and Compilation must bear accurate identifying information, including proprietary collection information, credit lines, copyright and trademark notices, and a citation to the Site. e.g. Hamilton, Richard. The Solomon R. Guggenheim (Black and White), 1965 – 1966. Fiberglass and cellulose, 122 x 122 x 19 cm. New York, Solomon R. Guggenheim Museum. 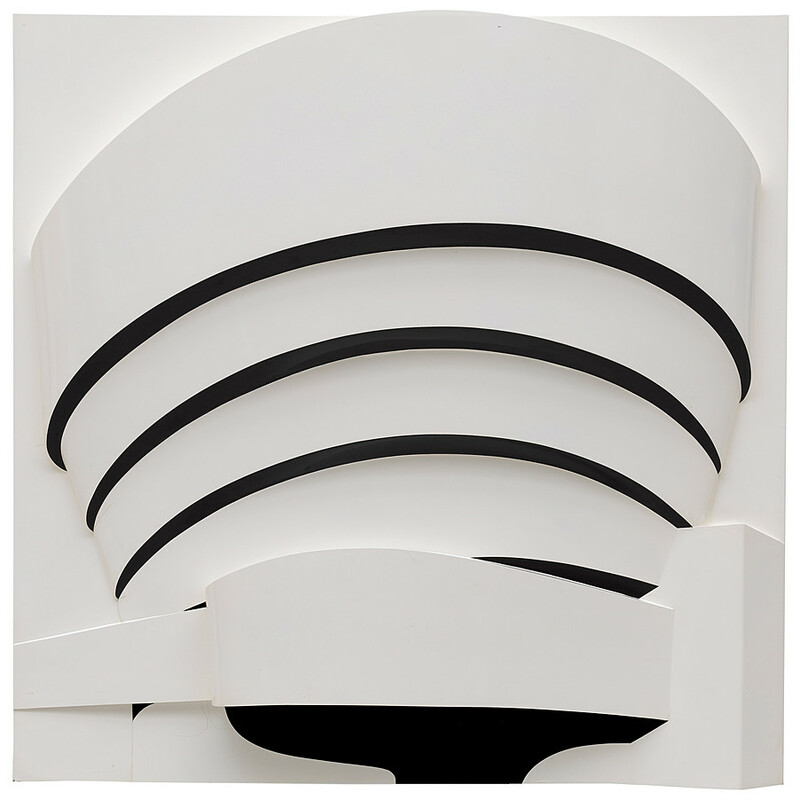 Accessed July 15, 2015. http://www.guggenheim.org/new-york/collections/collection-online/artwork/1611.